Michael Reilly, leasing and brokerage associate at J.H. Berry & Gilbert, Inc., collaborates with the brokerage team to procure new business opportunities throughout the southeast. Michael’s acute awareness and understanding of new developments and opportunities in the southeastern commercial real estate market position him to serve as a knowledgeable resource for his clients and their business needs. Prior to joining J.H. 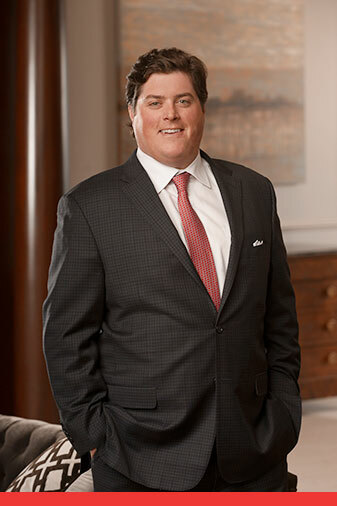 Berry, Michael worked as an associate for Reconstruction Partners LLC in Nashville, Tenn., an investment banking company that provided public and private transactional services for companies in the food and beverage industry, including sale lease backs, funding initiatives and company restructuring. Michael obtained his Bachelor of Science in business administration from Birmingham Southern College. Michael is a member of Trinity Presbyterian Church and enjoys hunting, saltwater fishing and golf.